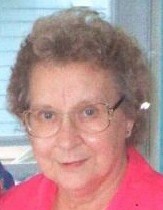 Louise D. Snyder, 78, a resident at Pontiac Care and Rehab Center in Oswego and formerly of 716 Gilbert St., Watertown, passed away January 28, 2019 at the Oswego Hospital. A calling hour will be held Friday, February 1st from 1 to 2 p.m. at the Hart & Bruce Funeral Home 117 N. Massey St., Watertown. The funeral service will follow at 2 p.m. at the funeral home with Rev. Jonas Tandayu, Pastor of Our Lady of the Sacred Heart officiating. Burial will be in the N. Watertown Cemetery in the spring. Born on March 22, 1940 in Watertown, daughter of Lawrence and Blanche VanNess, she graduated from Watertown High School. She married Charles T. Snyder Jr. in 1958 and the couple resided in Watertown. She worked at Bomax in Watertown as an assembler up until it closed and she retired from Ives Hill as an aid where she worked for a couple of years. She also enjoyed volunteering on Election Day at the voting booths. Mr. Snyder worked at Black Clawson and retired from Chapin’s Watermatics where he worked for many years. He passed away July 30, 2016. Among her survivors are her son, Charles T. Snyder III, Watertown; two sisters in law, Joan Deline, FL, Joanne Snyder, Watertown; a nephew, Dennis Snyder Jr. and two nieces, Betty Jo Snyder and Kelly Snyder. Besides her parents and loving husband, a son Robert Snyder passed away before her.